Three Things You Might Not Know About Charles Darwin : 13.7: Cosmos And Culture This Sunday, Feb. 12, marks the birth of Charles Darwin — a good time to take a moment to appreciate the value of science and the wonders of the natural world, says blogger Tania Lombrozo. This Sunday, Feb. 12, is Darwin Day, an international day of celebration commemorating the birth of Charles Darwin and his contributions to science. It's also an excuse for science- and evolution-themed events around the globe, and for all of us to take a moment to appreciate the value of science and the wonders of the natural world. 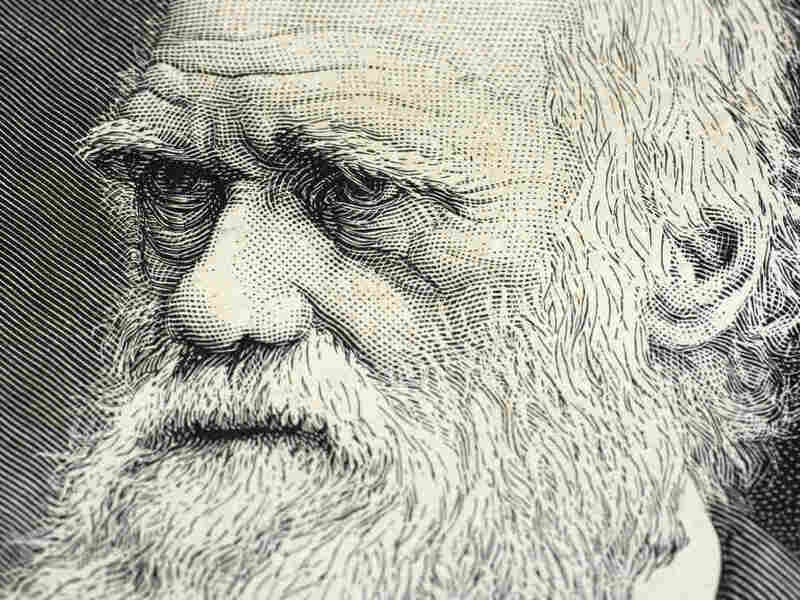 As you prepare to celebrate, here are a few things you might want to know about Darwin — some insights new and old to impress your friends and family. 1. Darwin developed the Theory of Evolution by Natural Selection. Studies consistently find that many Americans — including college students and even pre-service teachers — misunderstand critical features of how the process works. You can read through common misconceptions here, or review the key ingredients for natural selection — heritable variation that leads to differential reproduction — in this easy nursery-rhyme created for 13.7. 2. Darwin wasn't only a meticulous observer of the natural world, he was also a careful reader and a diligent record-keeper when it came to his own habits. Beginning in 1838, Darwin kept a notebook in which he recorded the books he was reading. From 1837 to 1860, he reported reading 687 distinct works of English non-fiction. These years span an important period in the development of his thinking, from his return to England from the Galapagos Islands to the publication of On the Origin of Species. What can we learn from the reading habits of a creative and enormously influential scientist? A new paper by Jaimie Murdock, Colin Allen and Simon DeDeo offers the first quantitative analysis of Darwin's book list, investigating the extent to which his decisions about what to read reflected exploration. That is, to what extent was Darwin systematically exposing himself to ideas that might be surprising in light of what he'd previously read? And to what extent did these habits change throughout this period of his career, as his Theory of Evolution by Natural Selection was beginning to take shape? To answer these questions, the authors used techniques from machine learning, statistics and information theory to analyze the full text of most books on Darwin's list, yielding multi-dimensional representations of the content of each book and a quantitative method for estimating the overlap in general content across books. The analyses revealed distinct epochs in Darwin's reading habits, including an initial period in which he delved more deeply into topics he had already encountered, and a final period, leading up to the publication of On the Origin of Species, in which he engaged in greater exploration. Rather than narrowing his focus or shielding his theorizing from new ideas, his later years were marked by breadth and novelty. 3. Darwin shared his birthday — Feb. 12, 1809 — with another revolutionary figure: Abraham Lincoln. Where the first transformed how we understand ourselves in relation to other species, the second changed the way we understand ourselves in relation to other humans. "Lincoln and Darwin can be seen as symbols of the two pillars of the society we live in: one representing liberal democracy and a faith in armed republicanism and government of the people, the other the human sciences, a belief that objective knowledge about human history and the human condition, who we are and how we got here, exists. This makes them, plausibly, 'heroes'." So take advantage of Feb.12 to celebrate Darwin, the human sciences, and scientific discovery. And, if you're so inclined, tip your hat to Lincoln, too.